So I’m not going to lie, I JUST became a fan of sun dried tomatoes during my time in France. In all honestly, tomatoes are not favorite. I mean I do eat them with some salt and pepper, but if I can avoid them I normally do. But if I’m having a Caprese salad (Tomato, Mozzarella cheese and Oregano) it’s open season!!! 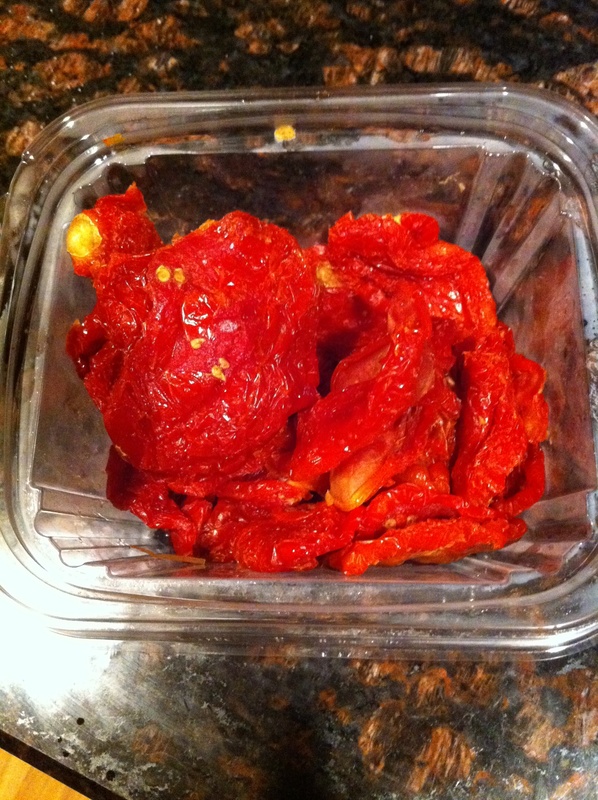 I love that salad… Now back to sun dried tomatoes…. 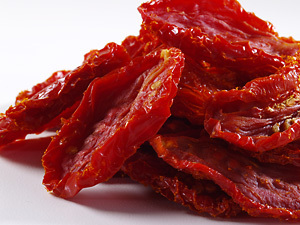 Sun dried tomatoes have a weird tough texture but they pack a lot of flavor. They’re actually pretty sweet and once you cook them, they become sweeter. Personally, I have a taste for acidic foods so when I cook with these or add them to a salad I’ll cut them up a bit, drizzle a little bit of extra virgin olive oil (if they don’t already come packaged in it) add a tiny pinch of salt and some red wine vinegar. DELICIOUS! I can’t get enough of these. Stay tuned… tomorrow’s dinner will be ravioli tossed with sun dried tomatoes with sausage and peppers on the side. Try substituting regular tomatoes for sun dried tomatoes in some of your favorite salads, sandwiches, and even burgers. Like anything I suggest, this ingredient will add a new twist. ENJOY!! !